Angola, officially the Republic of Angola, is a country in south-central Africa bordered by Namibia on the south, Democratic Republic of the Congo on the north, and Zambia on the east; its west coast is on the Atlantic Ocean. The Portuguese navigator Diogo Cao discovered Angola in 1482, indeed some of his discoveries are commemorated in a 1988 Portuguese Prestige Proof Collection, and the earliest Portuguese settled here in 1491. The original inhabitants were Khoisan, but they were largely displaced by Bantu during numerous migrations. Angola achieved independence in 1975, but this was followed by a quarter century of civil war, with at least three opposing factions. Only since 2002, has any kind of peace proliferated, with democratic elections anticipated soon. 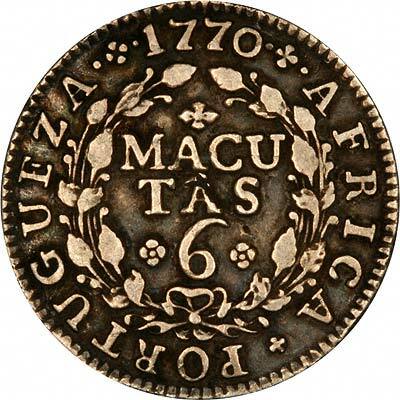 For silver and base metal coins of Angola, please look at our original Chard Coins website. We make an active market in almost all world coins, gold or otherwise, including Angolan gold coins. If you have any of these coins to sell, please contact us, or post them to us for appraisal and offer.